Poll Wiltshire Sheep are a wool shedding prime lamb breed. The Poll Wiltshire was developed from a natural occurrence in the Byarlea Wiltshire Horn Stud sheep flock. The Poll Wiltshire breed was developed by using the HornPOLL DNA test from Pfizer Animal Genetics to identify and prove the presence of the pollness gene. The Poll Wiltshire has short wool which is shed annually in Spring and early Summer. Shedding begins on the neck, chest and shoulders. The Poll Wiltshire is large framed, lean and well muscled, producing sires for crossing with ewes of any other breed or crossbred ewes for optimal prime lamb production. Rams are over 100kg and ewes over 80kg. There is no shearing, crutching or mulesing and they have minimal fly problems. Poll Wiltshires are low maintenance, easy-care sheep. They are hardy and long lived. The ewes are fertile and have excellent mothering abilities, making for a high lambing percentage. Poll Wiltshires are ideal for organic sheep producers. The meat is top quality and has an excellent flavour. The Poll Wiltshire has excellent wool shedding characteristics due to having no back crossing. They have the same characteristics as the Wiltshire Horn, without the horns. 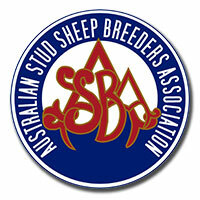 Australian Poll Wiltshire Sheep Association (APWSA) Inc.